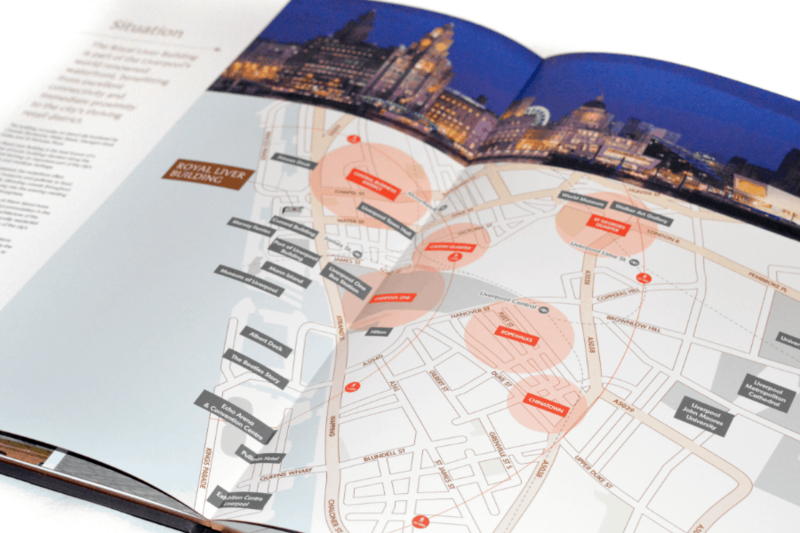 Following many high-profile appointments in 2016, Creativeworld is delighted to announce our partnership with CBRE in developing, designing and producing the comprehensive marketing material for Liverpool’s Royal Liver Building. For the first time in history, Liverpool’s Royal Liver Building has been put up for sale and we are incredibly proud to be a part of the process. The Grade I listed property originally opened in 1911 as the headquarters of the Royal Liver Assurance Group and once held the title of the tallest office building in Europe. The Liver Building remains an iconic symbol of Liverpool and dominates the city’s world famous waterfront. Owner Royal London Group, who acquired the building in its centenary year as part of a takeover, has instructed CBRE to sell the landmark site. It’s not often that such a unique opportunity to acquire a world-renowned, iconic asset comes to the market. With the building being in a city rich with heritage and a history of innovative culture, CBRE needed an agency who they knew would perfectly portray such a widely-regarded building. With this in mind, they decided to partner with leading Lancashire based marketing agency, Creativeworld, to capture what is arguably Liverpool’s most important building. A building of this calibre required something very special to match its iconic status. With this in mind, our in-house design team set to work on production. Firstly, our photographers paid several visits to the building to capture it in its best possible light; both day and night shots were taken which included location shots of the surrounding area to capture the vibrancy of the city. The brochure itself was designed in five colours, one of which was a special metallic copper. 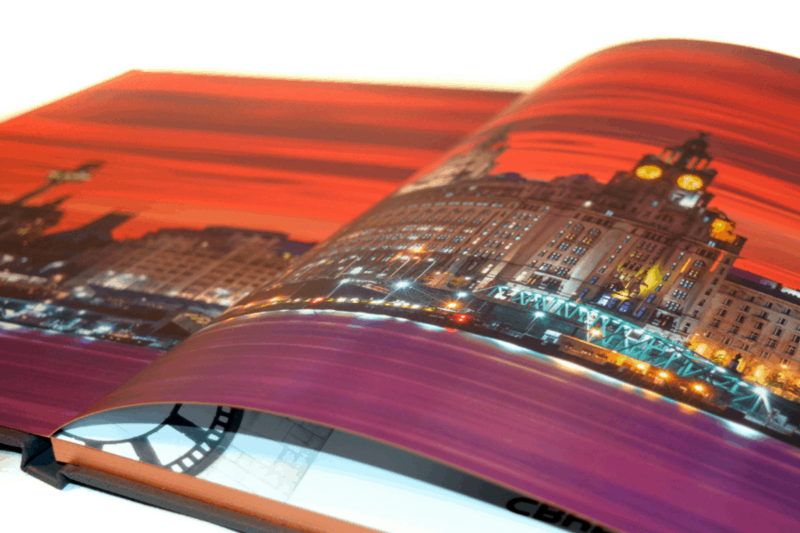 In addition to this, we chose the classic layflat binding for the finish. The outer case was covered with a special pelt touch material in which the Liver Building outline was debossed, with a copper foil used for the building name. As a finishing touch, we used a new technique being offered by our printer where the edges of the pages were sprayed with metallic copper ink. 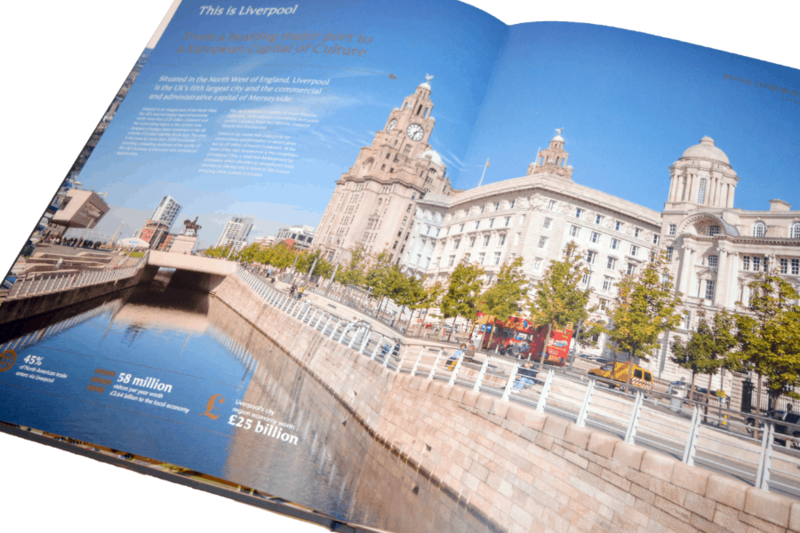 We are incredibly proud to have produced the marketing material for Liverpool’s Royal Liver Building and we wish CBRE all best with the sale of the property.